How can a GSM system be upgraded to a 3G network? What are the differences between the GSM/GPRS air interface and UTRA? How do CDMA and WCDMA work ? What are the differences? How does the UMTS Terrestrial Radio Access or UTRA operate? To what degree does UMTS facilitate Multimedia Services? Which new security features are introduced with UMTS? Which role takes Quality of Service (QoS) in UMTS? Network Operators who need to understand the 3G technology. Network Planners who need to understand the implications of WCDMA and UTRA. 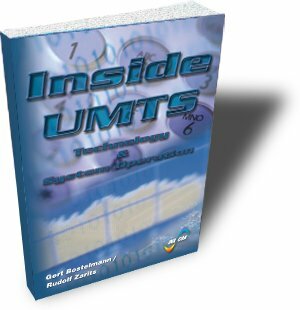 Everybody who needs a thorough understanding of the UMTS concepts without digging through the bits.